Or I could just put 3 inch lift spindles on the front and lift the rear with the torsion bar. Though If i am going to invest in new suspension parts, I’ll probably just go 3x3 rear swing arms and upgrade the shocks/coilovers, and up front look into a-arm. But that’s getting awful serious for a 95% road-toy. 1969 Baja Bug: Now with TWO painted fenders and headlights. 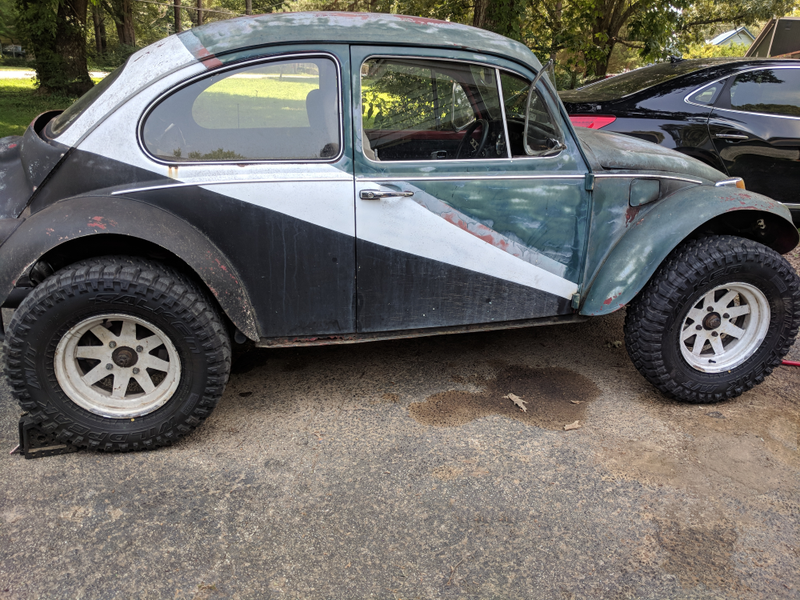 1969 Baja Update: New front tires and wheels, fender paint test and headlight fitting.